Me First and the Gimme Gimmes in the studio! 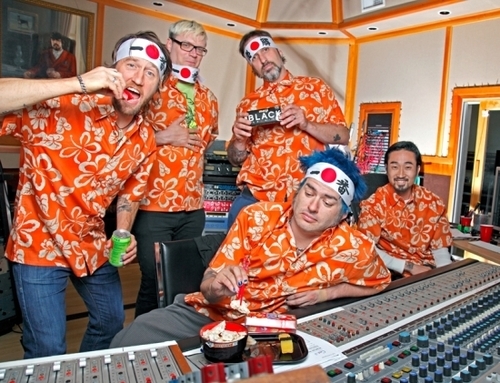 Me First and the Gimme Gimmes have just finished recording a new batch of covers at Studio 606 in anticipation of touring Japan this September. The six song EP includes covers of songs by famed Japanese artists such as: “Kekkon Shiyoyo” by Takuryo Yoshida, “Hero” by Kai Band and “Kokoro No Tabi” by Tulip. To find out how Spike tackled the process of recording and learning Japanese, you can read it here! Stay tuned for upcoming tour dates, album title, release date and an MP3 soon.